You rely on your refrigerator every day to keep your perishable food items safe and cold. That is why when your fridge suddenly malfunctions, you need to take quick action. Unfortunately, unless you’re a professional appliance repair technician, you may not even know the source of the problem. 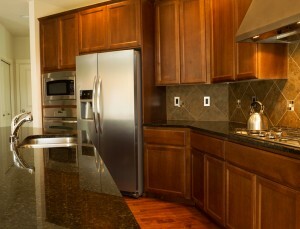 Some refrigerator issues are more complicated than they seem and could cost more money than the appliance is worth. So, do you fix it or nix it? Here is a brief guide to some common refrigerator issues and the suggested solution as to whether you should save it or scrap it. If you’re noticing water under the crisper drawers or ice buildup at the bottom of the freezer, the evaporator defrost drain may be clogged. It’s likely that the drain froze over as water from the evaporator coils continued to accumulate during the defrost cycles. Thaw the ice that has built up and check to see if your fridge uses a drain trough heater. The heater may be defective and need replacing. Save or Scrap: Save. You can fix this problem on your own or call a service to make sure the repairs are done effectively. The most likely cause of this problem is a torn or stretched out door seal. If this isn’t the case, it may be that the refrigerator door is warped and unable to close properly, or that the door cam is damaged and prevents the door from staying closed. Save or Scrap: Save. This is an easy fix. 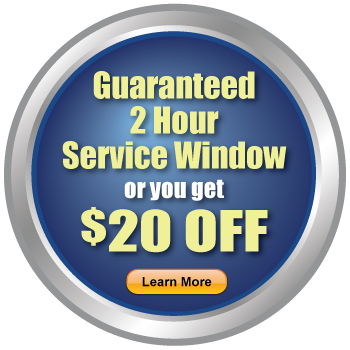 Door seals rarely cost more than $100 and door cams are even less expensive. Check the condenser coils to see if they are excessively dirty. If they are covered in debris, dirt, or pet hair, this muck and grime could be keeping them from performing properly. In this case, all you need to do is clean off the coils. A more serious problem, however, involves the cooling system. To make sure the cooling system is functioning, unplug the fridge and inspect the frost pattern on the evaporator coil. The entire coil should have a light pattern of frost. If only the upper portion of the coil has frost, then there is a problem with the sealed system. Save or Scrap: Scrap. Unfortunately, if there is a problem with the cooling system, the repairs could cost up to $400. If your refrigerator is already a few years old, you might as well purchase a new one. In most cases, your fridge should last at least 13 years before you have to consider replacing it. 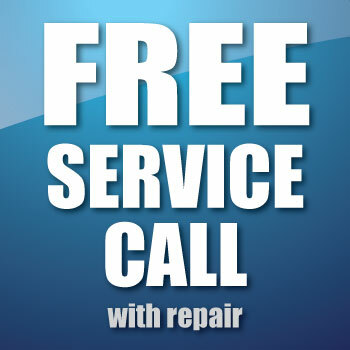 If you do decide that refrigerator repairs are in order, call a professional to get the job done right. 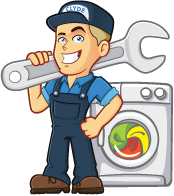 Most appliance companies will also handle dishwasher repair, dryer repair, and washing machine repair as well.